refocusing or repositioning where disturbance by children, pets or gardeners may occur regularly. 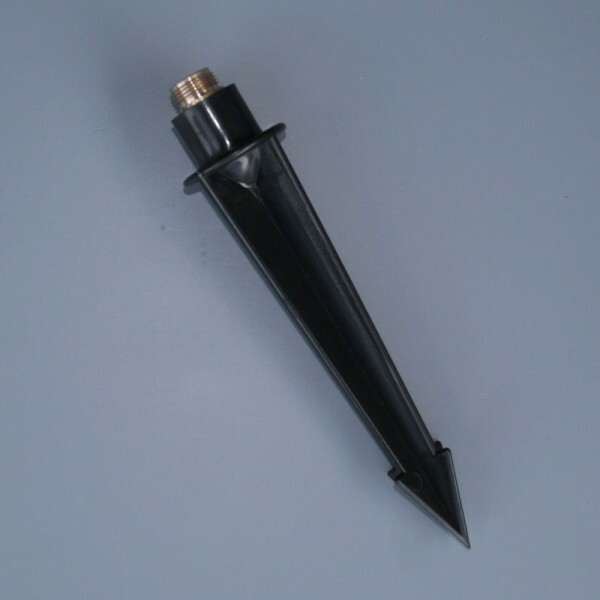 Thread the cable of the light through the spike, screw the new spike to stem of fitting and spike into ground making connection to the cable from a transformer with a cable joint T9962 or cable splice kit T9963..
Polycarbonate ground spike for Elipta Microflood and Pole Spot Solo to provide firm location in especially loose or sandy soils. It is also useful in reducing frequency of refocusing or repositioning where disturbance by children, pets or gardeners may occur regularly.